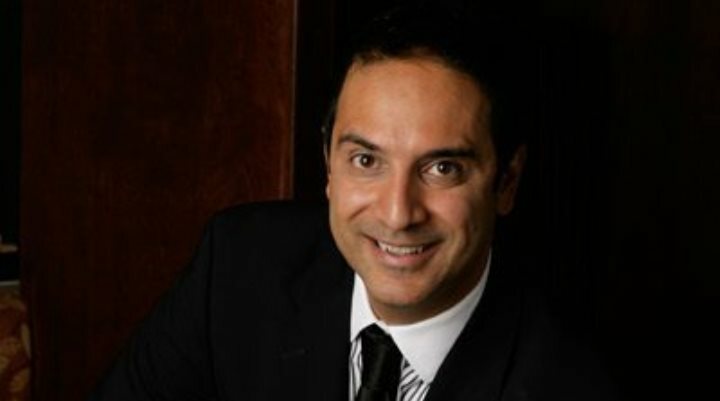 Dr. Sid Mirrafati got into the business of Cosmetic Surgery back in 1996. Prior to this, during his residency in General Surgery, Dr. Sid Mirrafati dealt with all aspects of medicine. After his completion of his residency, he was recognized by fellow physicians for his high skills in the Operating Room. He had great talent with is hands and was quick on his feet to handle crucial patient situations. Given such special attributes he wanted to continue operating. However, being such a positive, happy and energetic individual, he wanted to be in a field of medicine that would fit his personality. That is when he decided to pursue Cosmetic Surgery! Growing up from the age of twelve in Southern California , Dr.Mirrafati knew that this was where he wanted to start his business. From 1996 – 1998 he did his fellowship in the cosmetic surgery field with Dr. Fulton in Newport Beach. After this fellowship he wanted to continue training with prominent Cosmetic Surgeons. That is when he met Dr. Shiffman. Melvin Shiffman MD was a great mentor for Sid Mirrafati MD. They would work together for years and published surgical books with one another. In 2000 Dr. Mirrafati started his own practice located in Tustin, California. His inspiration of opening up his business was knowing the fact that he can make such a positive difference in people’s lives by cosmetically improving their appearance. The support of his wife, family members and Dr. Shiffman was also a great inspiration for him. When Dr. Mirrafati first started out his business, there were a few times when he doubted that it would work out. He had put all of his savings into his new practice and there where days during the first couple months of his practice where he would have no patients or there would be patient “no shows.” This caused him to get discouraged and nervous about the future. However, he took his father’s advice that when it is slow, don’t ever leave work. His father always told him this is the time you really need to stay and sit in your office and think of different ideas that concern your business. Luckily, he took this advice and would sit in his office and think and think harder. He was able to come up with different marketing campaigns and specials. From this he was able to get new patients and they became reoccurring patients and brought referrals too! The first couple of years when Dr. Sid Mirrafati started his practice, he lived very modestly. Most of what he earned as a physician, he put right back into his practice. It was very important for him to have an organized office, with professional employees along with state of the art equipment and care. With high office expenses in order to start out his practice, it took Dr. Mirrafati a good two years where he became profitable. Dr. Sid Mirrafati makes his money by providing non-surgical and surgical cosmetic services. Non-surgical services include, but are not limited to botox, fillers, lasers, weight loss, ivy therapy, skin treatments. Surgical procedures include, but are not limited to breast augmentation/ lift/reduction, abdominoplasty, liposuction, liposcuplture, facelift, buttock shaping, eye surgery, and rhinoplasty. It took roughly two years. Dr. Mirrafati’s first patient that he received was through an ad with the local paper. He conducted a laser skin treatment on the patient and she was very satisfied. After a few months his name got around town and he had many patients coming to see him. Today, patients from all of the United States and Canada fly in to get their surgery done by him. Over the years of his practice, Dr. Mirrafati has received the majority of his patients from referrals. He is very thankful and appreciative of that. However, he does also rely on some marketing as well. Initially, back in the early 2000’s his marketing strategy was mainly through the paper, local magazines, and direct mailers. The past few years his marketing strategy has changed. He does not rely on paper advertisement as much. His focus is on Social Media, E-blast with current patients, and SEO. Deciding to buy new equipment and technology that is quite expensive but I know will help me serve my patients better. Cosmetically improving the appearance of his patients is what Dr. Mirrafati does the best. However, he also emphasizes to all his patients the importance of a healthy balanced diet, getting plenty of exercise, and enough sleep. All of these factors need to be in play in order to get the best results! The most satisfying moment in Dr. Mirrafati’s business is when he sees his patients happy with their surgical results. Another satisfying moment fr Dr. Mirrafati was when he was able to move into his office in Costa Mesa in 2008. He had it designed just the way he always imagined. What makes Dr. Mirrafati successful is the time and care that he puts with all his patients. He is a very skilled surgeon and is noted as one of the best! His Hydrodissection Breast Augmentation makes him stand out from other Cosmetic Surgeons. The future for Dr. Mirrafati’s business is bright. Fortunately, he gets busier and busier each day. He has also bought in different skin treatments machines that are the latest technology to help with anti-aging, scars, acne, pigmentation and fine lines. Dr. Mirrafati is very excited about these new machines because he has seen such great results with his patients. Before these machines, patients would have to endure surgery with anesthesia to get the results that these machine provide! Dr. Mirrafati keeps up to date with the latest advances in medicine. American Journal of Cosmetic Surgery is read by him on a regular basis. “Aesthetic Surgery of the Abdominal Wall” and “Simplified Facial Rejuvenation” were two books that Dr. Sid Mirrafati and Dr. Melvin Shiffman wrote together. Besides medical books, Dr. Sid Mirrafati loves spiritual and motivational books. Two of his favorite authors are Deepak Chopra and Joel Osteen. The most recent purchases at Mira Aesthetic Medical Center that was made by Dr. Mirrafati was the latest Spectrum Laser System and EndyMed Pro. The Spectrum Laser System is one of the most advanced lasers out there giving better and faster results to patients who are interested in laser hair removal, laser skin resurfacing, tattoo removal, vascular treatments, and IPL. EndyMed Pro System uses radiofrequency energy to tighten loose or sagging skin, reduce cellulite, and improve the overall quality of skin for a younger-looking appearance.